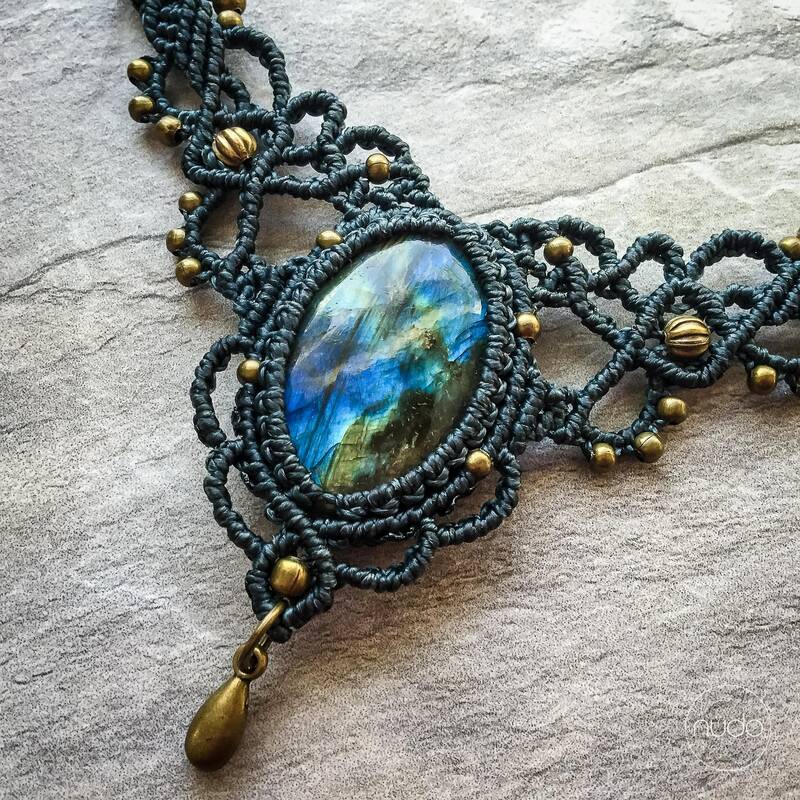 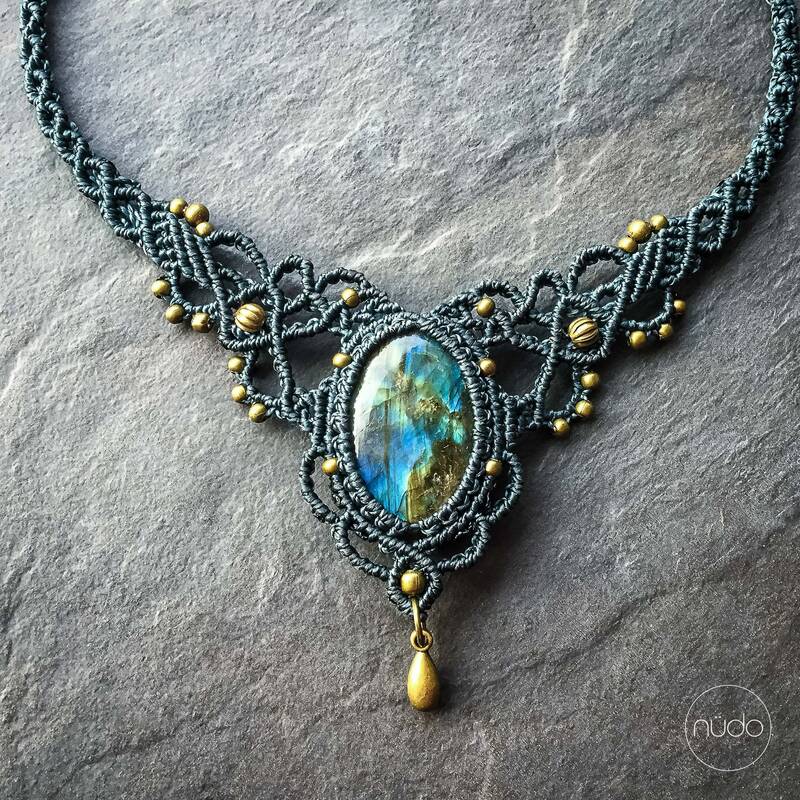 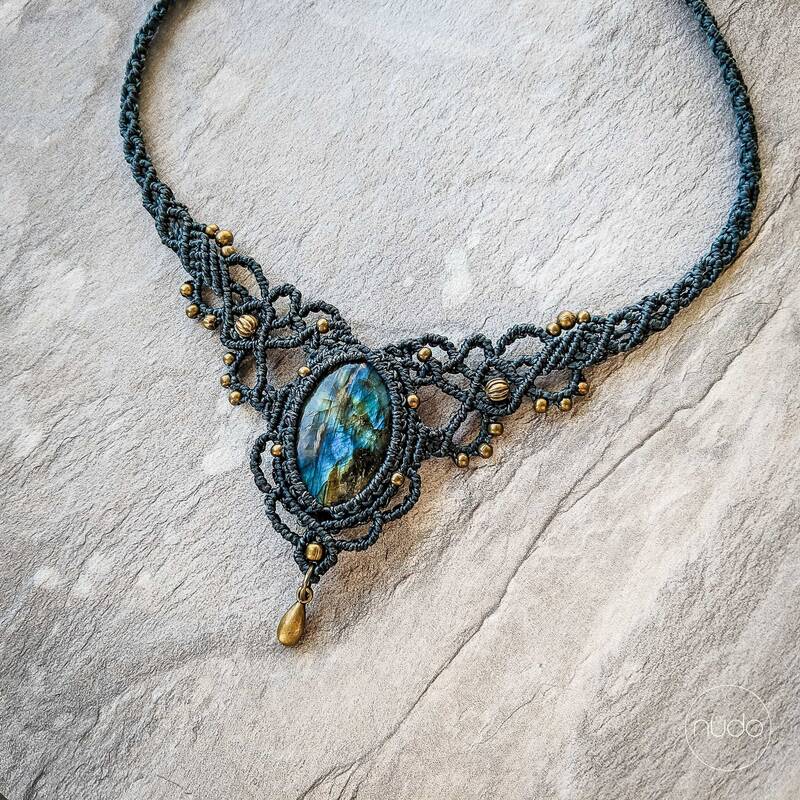 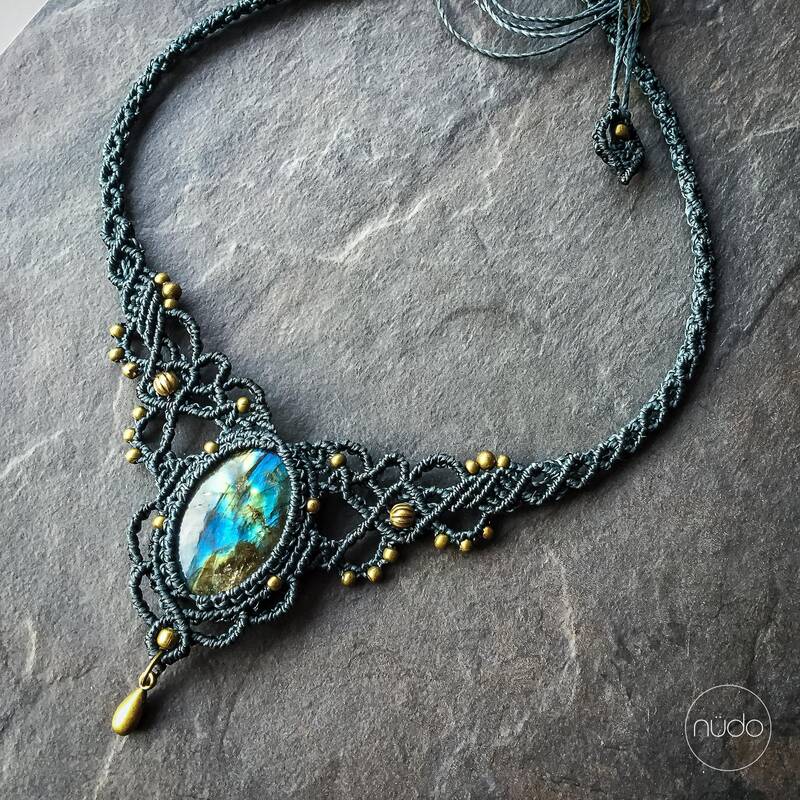 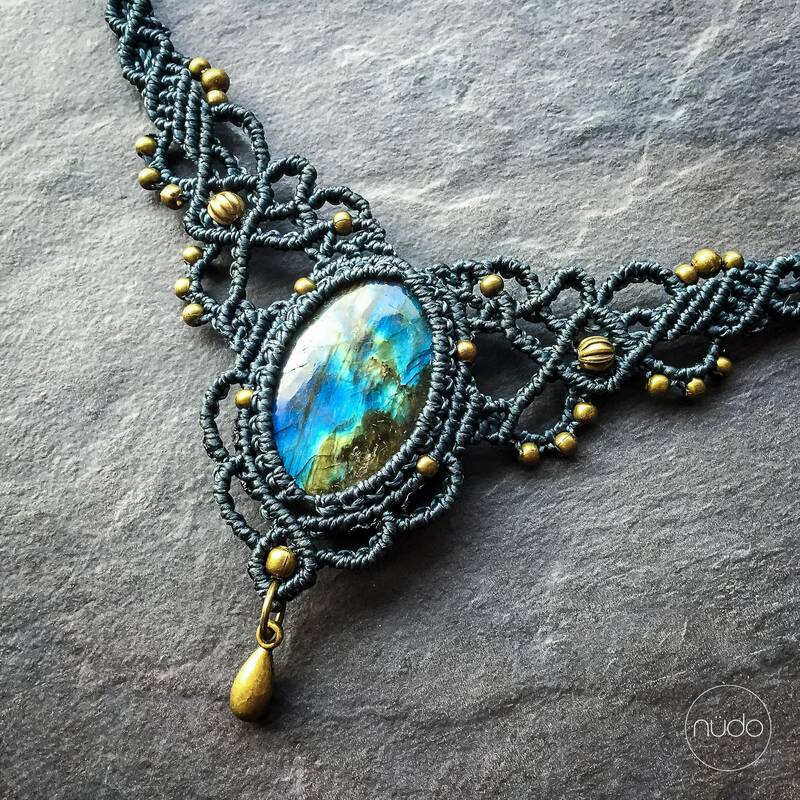 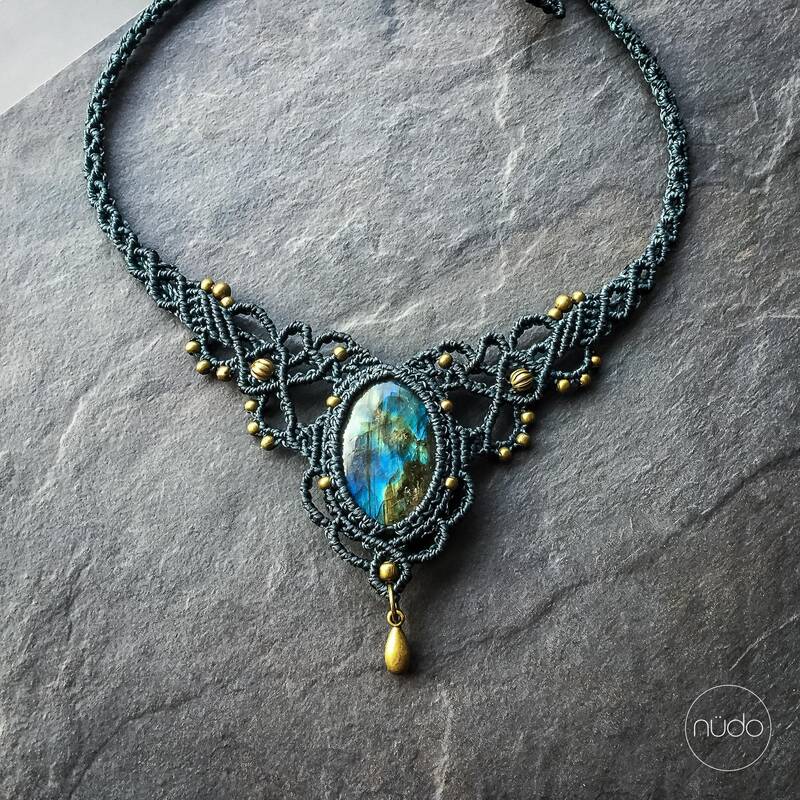 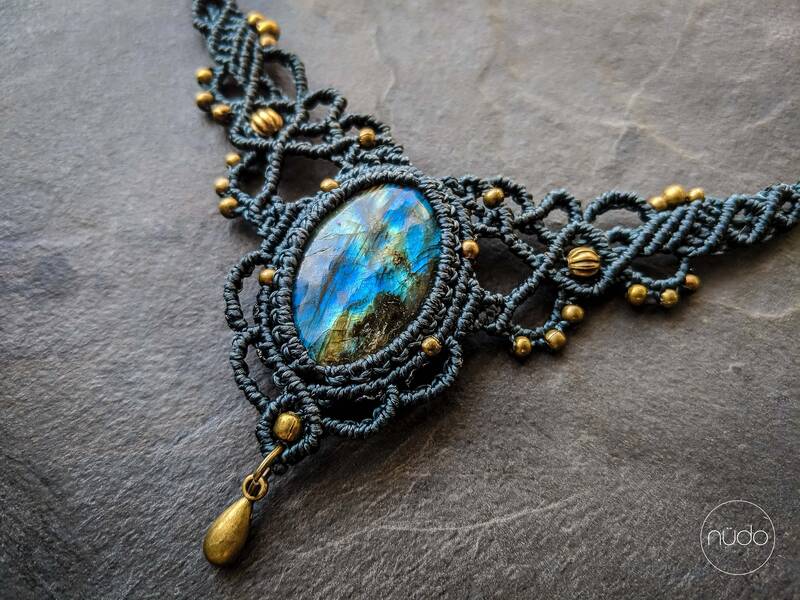 Macrame bohemian statement necklace with Labradorite stone. 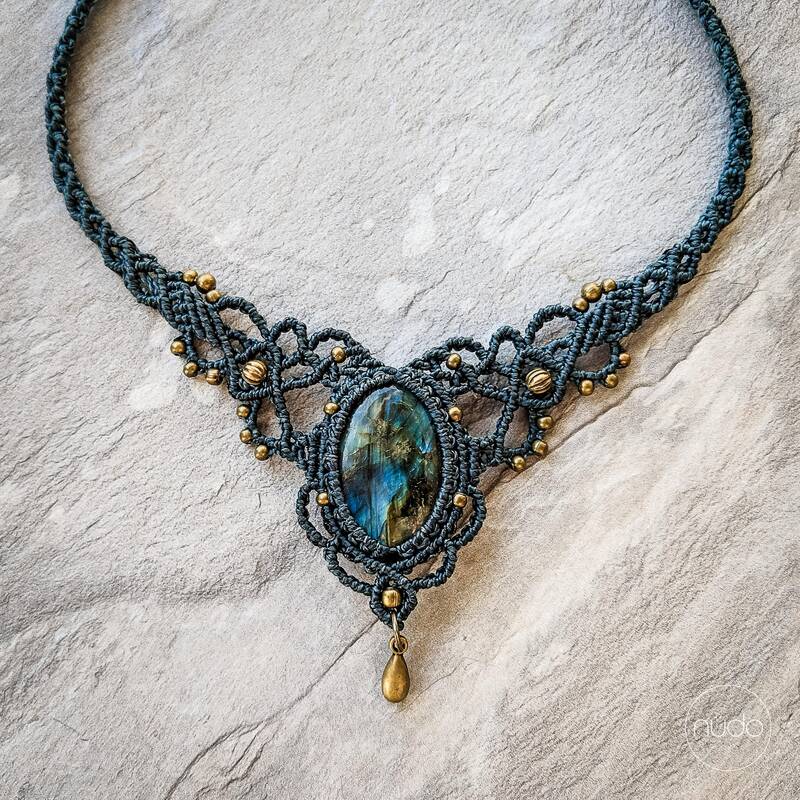 You will receive the necklace seen in the pictures, it is ready to ship ! 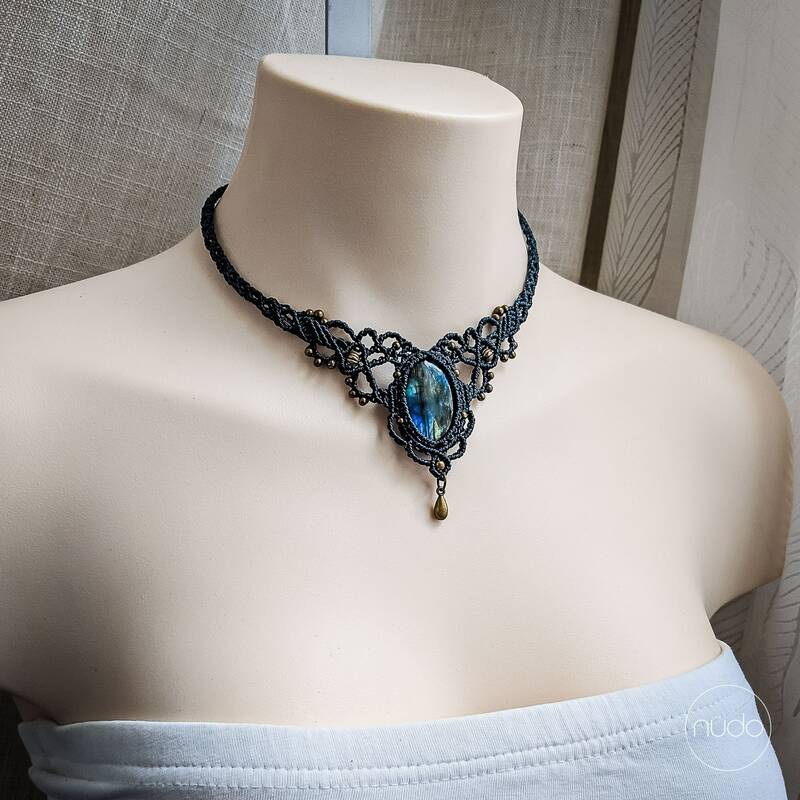 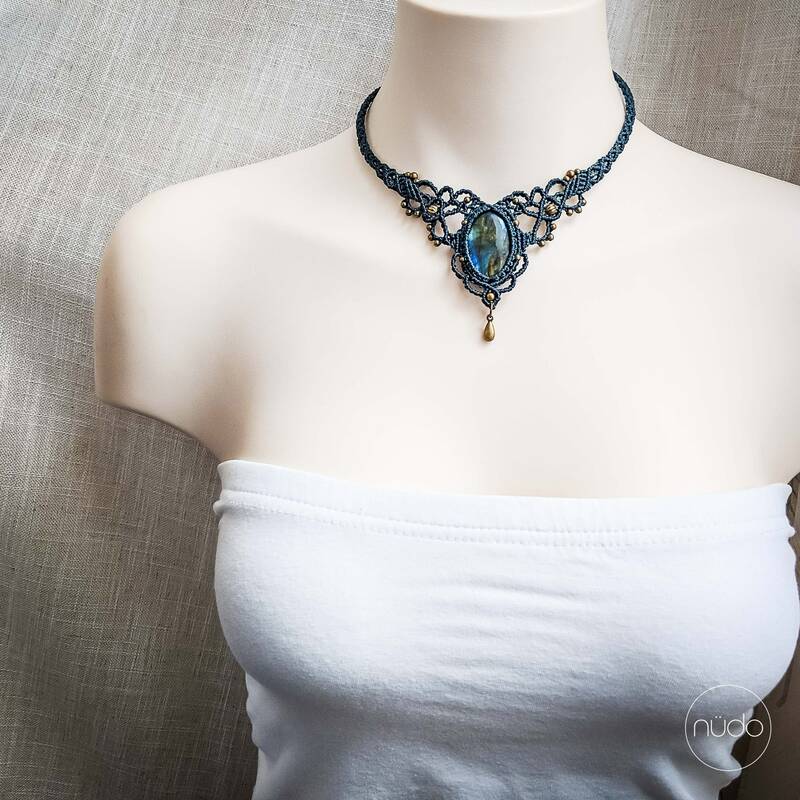 It is adjustable in length with a sliding knot, so you can wear it long or short :) The textile lace design I created makes this versatile piece of jewelry malleable and comfortable.